You are trying to come up with a fun and relaxing team building activity for your team. Last year you did axe throwing – and the results were questionable The year before that you did rock climbing – not exactly for everyone. Your team has also had their fair share of dinner parties which are okay but not terribly exciting. This year you want to do something different that is creative, relaxing and memorable. 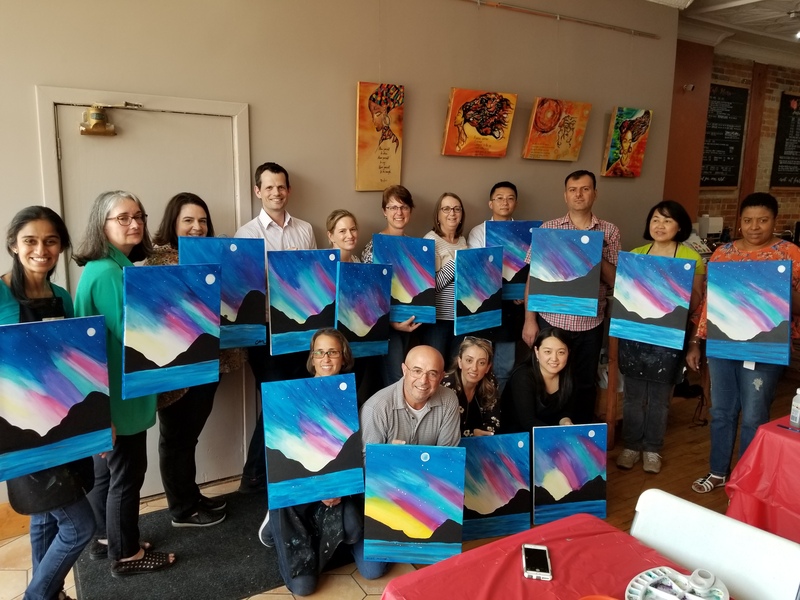 What about doing a corporate team painting party at Fresh Paint Studio? 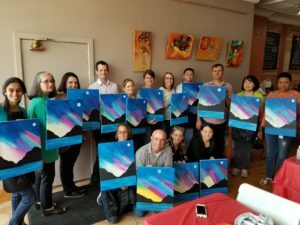 Corporate paint parties are a great way for your team to relax, unwind and get creative! The best part is that no –experience is required! We have professional artists to help everyone through the process and encourage the team to have fun and create. An added bonus is that food and drink can be brought in to the studio to make the experience even more fun! Painting parties at Fresh Paint Studio give everyone a chance to explore their creative side while creating artwork that they can display proudly. 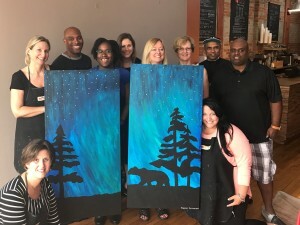 Book your creative corporate paint party today! BOOK YOUR PAINT PARTY TODAY! A wide range of organizations and companies can benefit from team bonding activities such as collaborative or group painting which foster creativity and enhance problem solving skills. These activities which are viewed as a productive break from work also elevate the team's ability to work together to achieve tangible goals in a relaxed environment. 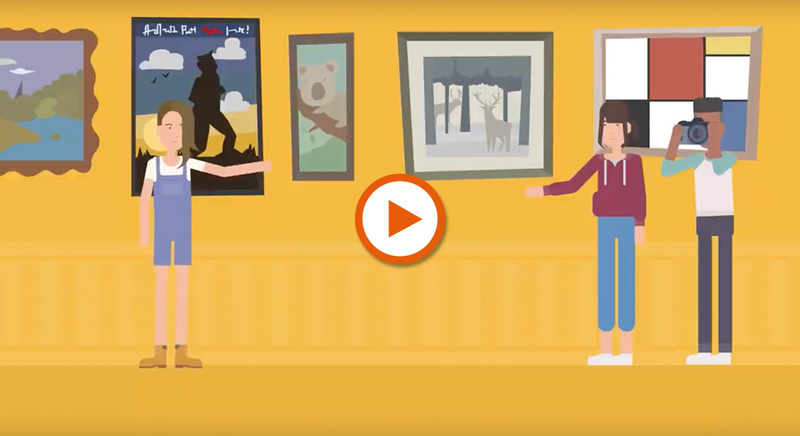 Creating art together in an artistic setting is a team building activity that brings different individuals from various backgrounds together in order to reach a common goal. It becomes an opportunity for team members to get to know each other in a fun and creative setting while fostering open-minded thinking. Collaborative creativity works to bring teams together by encouraging each member to contribute to the art process by balancing the strengths and weaknesses of the group. This positive creative energy can later be harnessed in the workplace in order to boost productivity. Creative collaboration is a fundamental element of organizational growth. It helps to identify team strengths in a non-threatening way that builds trust and mutual respect and helps to encourage future collaboration. There is a true sense of pride and accomplishment that is experienced when a team completes a collaborative art piece. Confidence and trust radiate within the group in a manner that tangibly showcases the group's potential. Collaborative creativity motivates team members to think outside of the box and to use their imagination to come up with innovative solutions. After the artwork has been created, this spirit of innovation continues Through team activities, you can bring people with different ideas and innovations to work together. Out of the ordinary team building activities all the staffs to use their imagination and come up with innovative solutions. This behaviour reflects in work and keeps the creativity flowing. Team building activities improve communications. When these activities are stress-free and enjoyable, they enable the team to communicate and learn about each other while breaking barriers and building trust in order to reach a common goal. 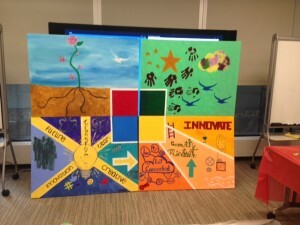 At Fresh Paint Studio, we design custom, creative team building programs for organizations in Toronto and beyond. Each program is specifically designed with the size, scope and creative objectives of the team in mind. Contact us to book your next team building activity in Toronto.